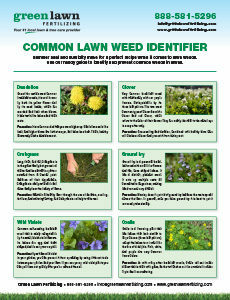 A healthy lawn requires a thorough water supply, and weeds are less likely to pop up where they have to compete. Nourish your lawn with a deep watering to promote the establishment of healthy root systems. An infrequent, deep watering is just what your grass needs and weeds don’t want. Once or twice a week is ideal. Weeds thrive on sunlight, air, and nutrients, so when you mow low, you are giving them access to some of the things they crave the most. 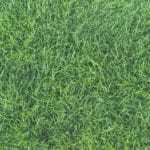 Set your lawn mower to a higher setting to keep your grass growing high, and limit the amount of sun lawn weeds can get. Your healthy yard loves to eat. 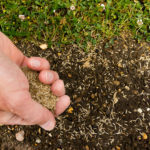 Feeding your lawn on a regular basis with lawn food helps it grow thicker and fill in patches, causing your lawn a less-hospitable home to weeds. Most experts recommend feeding your lawn every six to eight weeks. Try as you might, some things are out of your hands. And up to Mother Nature instead. 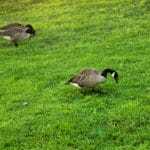 When birds and animals eat weeds, berries, and seeds out in the wild, they may transfer them to your lawn through their excrement. This can lead to all kinds of unexpected plant appearances, including weeds or, very occasionally, attractive flowers. Plus, sometimes the wind is at play. Many plants cleverly design their spores to be transportable via even the most gentle breeze, which can carry them a few feet or a few miles. 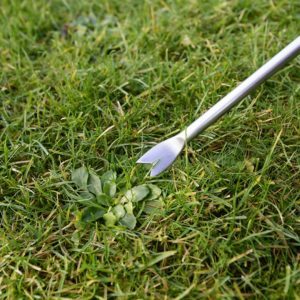 The best way to prevent a lawn full of weeds is to be proactive and vigilant. 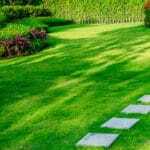 The lawn care technicians at Green Lawn Fertilizing are dedicated to giving our clients weed-free lawns with our lawn care programs. Call us today at 888-581-5296 for a free consultation and estimate.